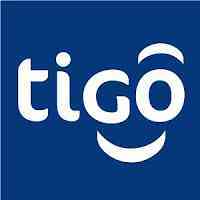 Responsible for training call center ,Tigo Shops,Sales Force on Tigo products/services (in collaboration with Mobile, Data, CLVM, Sales & Channel,Zones Managers), Process & System ,Customer Service & Soft skills. Ensure training is completed for all new product launches according to value proposition. Working closely with the managers on learning and development programs. Constantly working towards Higher FCR & Reducing Complaints through standardized knowledge management tools and content and quality customer acquisition. The person in this role will be measured on the quality and effectiveness of the deliverable and against the company’s targets for CSAT, customer willingness to recommend (customer advocacy) and cost to serve per Customer. You are open-minded, passionate and the way you work energizes others. You are committed to the timely delivery of a job well done. You behave with integrity and transparency. "We are committed to equal employment opportunities and unbiased treatment of all individuals in all employment practices"